An actor and musician who rose to limelight after portraying a role of Nymphadora Tonks in the Harry Potter film series is none other than, Natalia Tena. Likewise, she is mainly recognized as wildling Osha in the HBO fantasy series Game of Thrones. Besides that, she is also the lead singer and accordionist of the musical group named Molotov Jukebox. FilmQuest Cthulhu and Gaudi Award winner, Natalia dated her band member, Sam Apley. Earlier, the boyfriend and girlfriend used to work together for the band named, Nat Jenkins. However, they both left it in order to form a new band, Motolov Jukebox. Natalia Gastiain Tena was born on November 1, 1984, in London, England. She was born to a carpenter father, Jesus Gastiain and a secretary mother, Maria Tena. Similarly, she is an Extremaduran-Basque descent according to her family and fluent speaker of Spanish and Basque. Regarding her nationality, Natalia is British and she belongs to white ethnicity. 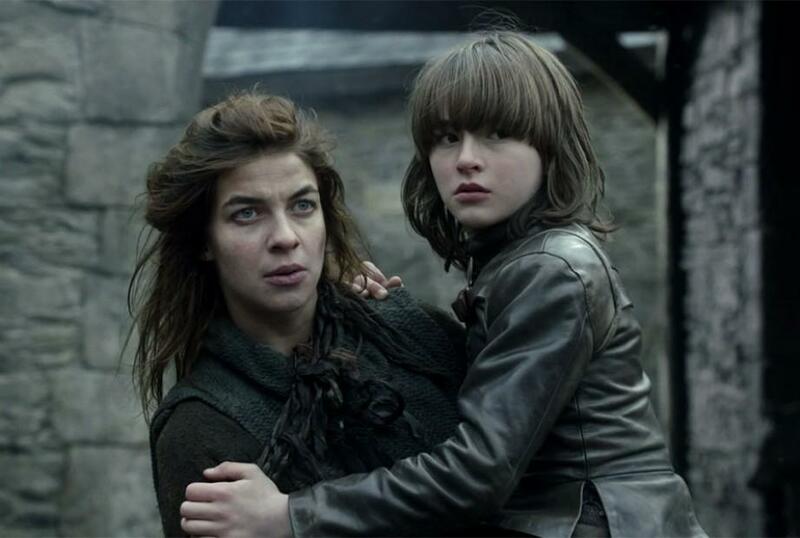 Game of Thrones actress, Natalia Tena, and Isaac Hempstead Wright. The Gorgeous woman, Natalia completed her education from the boarding school, Bedales before starting her career. She started learning music at her early age. While she was at the age of 5, her mother taught her to play the piano. In the same way, her passion towards music made her go deeper in it. At 18, she started busking on the London Underground which led to the theatre group called KneeHigh. There she learned a new instrument named accordion. Natalia began gaining fame right after her appearance in the Game of Thrones as wilding Osha. There, she portrayed a very important role along with several GOT co-stars, Isaac Hempstead Wright, Kit Harington, Maisie Wiliams, Sophie Turner, Michelle Fairley, Sean Bean, Emilia Clarke, and so on. Youtube: Natalie Tena roles in Game of Thrones. Besides movies and series, she has also done many stage performance like Gone to Earth, Bronte, Nights at the Circus, The Clean House, and Othello. On the other hand, her band also released albums such as Carnival Flower (2014), Tropical Gypsy (2016). Currently, she has made an appearance in the television series Wisdom of the Crowd. She might be working on her upcoming films and series but till the date, it has not announced. Tena dated a handsome man named Sam Apley who is also a member of her band, Motolov Jukebox. The couple first worked together in the band, Nat Jenkins. However, later they both left it and formed a new band Motolov. Currently, she aged 32 but she has not planned to get married yet. Neither any signs or rumors of her marriage is spread in the air. She might be giving time to her career rather than being a headline news of media through her personal matters. Better known for her roles of Wilding Osha and Nymphadora Tonks, Natalia makes a handsome money from her acting professions. Likewise, she has also earned money and fame from her singing career. As of 2017, her net worth is estimated at around $5 million.